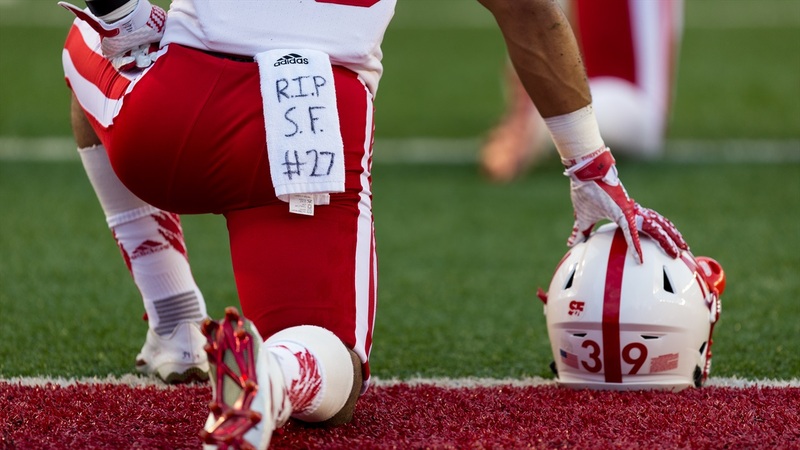 Two days before the one-year anniversary of the tragic death of Sam Foltz in an automobile accident, the University of Nebraska unveiled a new tribute to the Husker punter. For many years the last thing Nebraska football players did before beginning the famed Tunnel Walk was touch the horseshoe. Now they'll also see a memorial plaque honoring Foltz and his impact on Nebraska football. Foltz, from Greeley, Nebraska, and a graduate of Grand Island High School, was the 2015 Eddelman-Fields Big Ten Punter of the Year and earned his degree in agronomy from Nebraska in May of 2016. A five-time Nebraska Scholar-Athlete Honor Roll selection, he made the Brook Berringer and Tom Osborne Citizenship teams. Nebraska's temporary memorial to Foltz that was placed at the northwest corner of the stadium last season will remain up through July 28.